This week it’s all about the absolutely wonderful Autumnal Equinox that’s being celebrated here in the Northern Hemisphere. I adore this time of year – the crisp air, the sharp, spicy smells, the harvest colors bursting with fiery charm, the dance of the leaves and then their crunchy piles. It’s pure bliss! Because of my utter joy and because of all of the activities that fall around this time, I didn’t have a lot of time to make my pages this week, but I did keep my theme consistent! 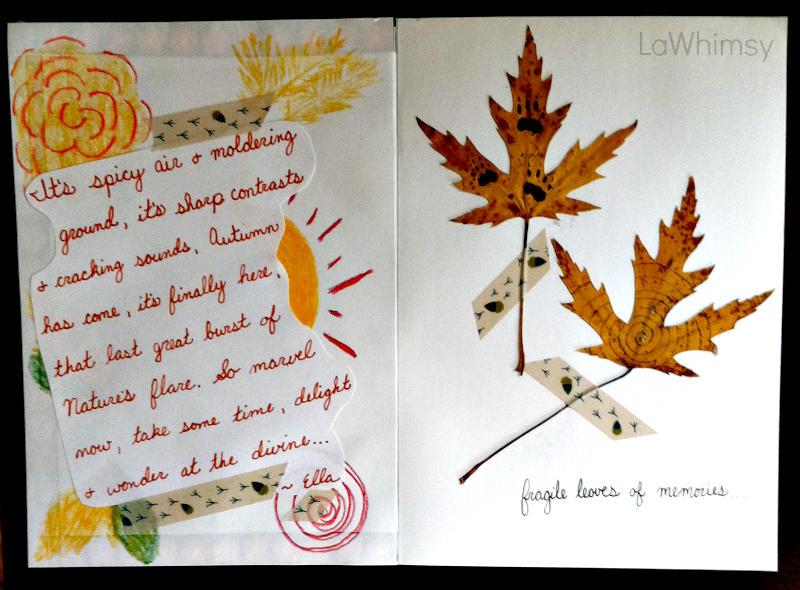 The first page has a bit of my poetic type of musings from a previous Autumnal jotting. I added it on top of a few fall sort of doodles and a touch of acorn washi tape to hold it in place. I hope everyone is having a wonderful equinox, no matter the season it’s marking! Oh, I love these pages! 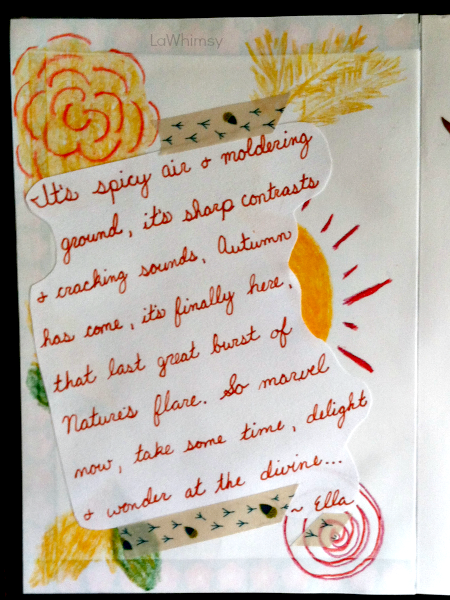 You have perfectly captured what I also adore about fall. 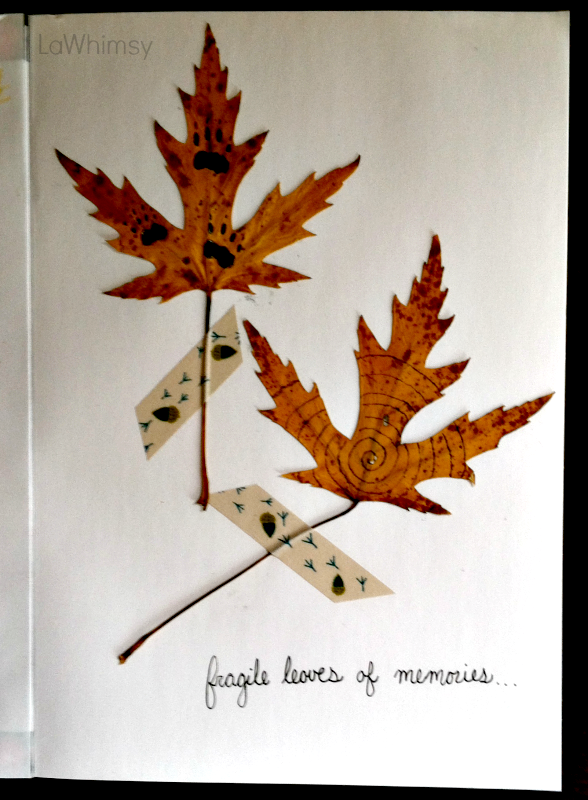 I’d love to try your trick of drawing on pressed leaves, I’ve never done that and yours turned out really pretty! 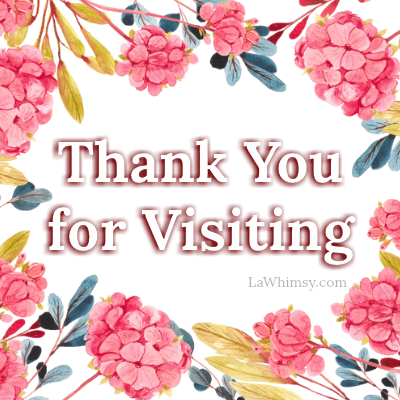 Thank you for sharing these pages!